GALEO promotes engagement of the Latino and immigrant community in issues that matter to them. Our efforts over the years has focused upon immigration reform and voting rights. Please see the calls to action below and volunteer and/or take action in a way that you are able to do so! We must engage to make Georgia a better place for us all. #GALatinoVote Mobilization Email: Tomorrow is Election Day! Go VOTE! Let’s go vote! Early voting has been a great success and lots of people are voting early! This is the LAST week of early voting (until Friday, 10/31/14). #GALatinoVote Mobilization Email: Go VOTE early this week & #PostThePeach! 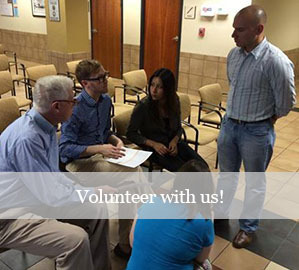 Volunteers needed on Tues & Thurs for GOTV phone banking. Georgia leaders gather with the New Georgia Project urging Secretary of State to ensure applicants make it on the voter rolls. Advocacy Email: Volunteers are needed for the 2014 elections.